The Crystal of the Day for Saturday 14 December 2013 is Black Onyx which corresponds with Saturn, Saturday’s planet. Onyx is known to separate. It can help release negative emotions such as sorrow and grief. It is used to end unhappy or bothersome relationships. Onyx guards against negativity. Onyx jewelry is worn to defend against negativity that is directed at you. 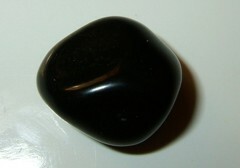 Black stones have protective energies in the sense that black is the absence of light, and therefore, can be used to create invisibility. It also fortifies self confidence and responsibility, sharpens your senses, and encourages an healthy ego.